The last Japanese royal who did this was Princess Nori, when she married a commoner in 2005. Many of us dream of living like royalty, but one royal is willing to give up all that up for the man she loves. 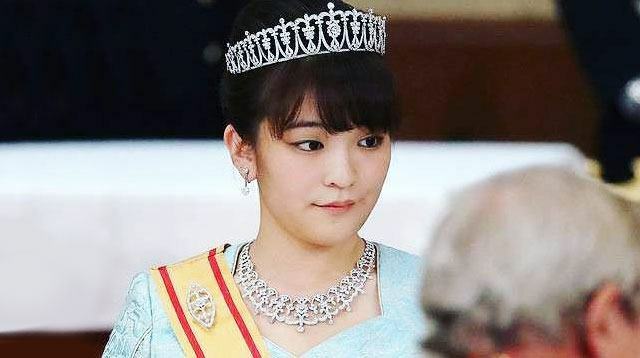 The Imperial Palace told CNN that 25-year-old Princess Mako of Akishino is planning her engagement to Kei Komuro, a graduate at a law firm. Japan’s imperial law requires a princess to relinquish her status should she decide to marry a commoner. The last princess to do this was Princess Mako’s aunt, Sayako, formerly known as Princess Nori and the only daughter of Emperor Akhito. Princess Mako and Kei Komuro met years ago while attending Tokyo’s International Christian University. If Komuro looks familiar, it’s because he once starred as the “Prince of the Sea” in a tourism campaign for Japan. This move has reignited a debate among the Japanese and the shrinking imperial family—which only has 19 members, 14 of whom are women. In Japan, the throne can only be passed to the male heirs.